Sometimes the most unexpected places yield such pleasant discoveries. Such was the case on a weekend trip last September to the city of Oxnard, which I was surprised to learn is the largest city in Ventura County; its population is about 220,000, but Oxnard’s rural environs brings it up to nearly 300,000. I drove north on Route 101, the Ventura Freeway, passed through Thousand Oaks (my long ago hometown), then dropped into Camarillo, via the 7 percent Conejo grade. Another eight miles delivered me to Oxnard, which is nine miles south of Ventura. Oxnard started out as an agricultural hub and still produces a wide array of fruits and vegetables, most notably strawberries on flat plains that run almost to the ocean. Oxnard takes its name from one Henry T. Oxnard, who with his three brothers established a sugar beet processing plant in the town in 1898. The city was incorporated in 1903, and a number of restored Craftsman homes dot the city center around Heritage Park. But it’s also a bedroom community for commuters and military residents from nearby Port Hueneme and Point Mugu Naval bases. Outside the city’s historic core are dozens of master-planned developments, including many private gated residential communities. Oxnard is the gateway to the Channel Island, now a national park, and my destination on what was a hot September morning. But on our boat ride out to the islands, we were blessed by a moderate fog cover that kept the ride over and back cool and comfortable. 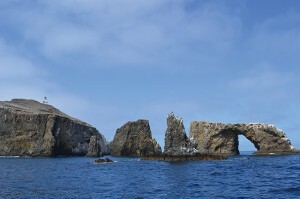 Leaving from Channel Island Harbor Marina, Island Packers took passengers on a three-hour cruise of the Anacapa Islands, three-closely knit islets (East, Middle and West) stretching a mile long and part of the Channel Islands National Park. Much of the park is underwater, where sea life is protected. The island’s rich kelp forests are a haven for kayakers and scuba divers. Waves have eroded the volcanic island, creating towering sea cliffs, sea caves and natural bridges. 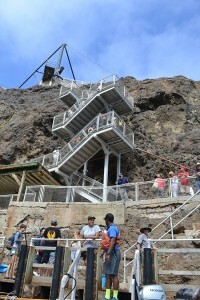 The boat was fully loaded on the smooth morning ride and about two-thirds of the passengers disembarked for a day’s visit of the island. 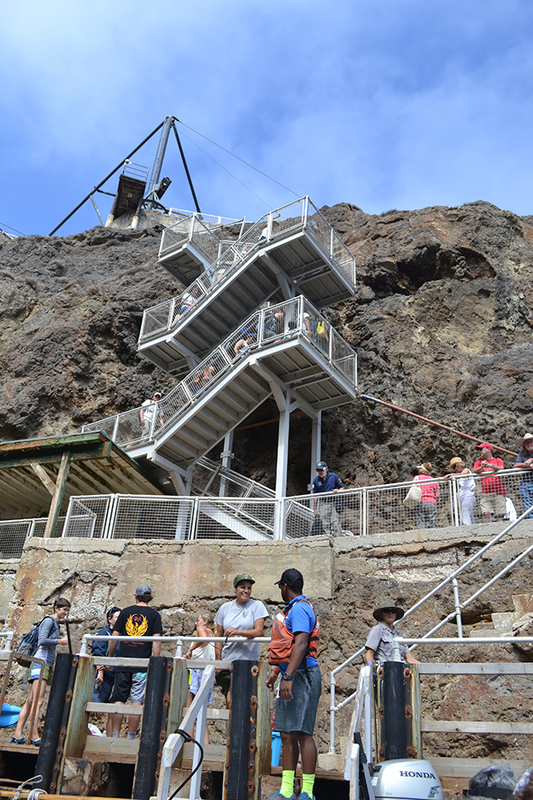 They climbed a 157-step ladder that was constructed against the island’s rugged and sheer cliffs; they would all return on an afternoon boat. Which brings me to warn you that this is not a national park filled with concession stands. Should you wish to disembark, you need to bring your own food and water for the day. One of my favorite childhood books was Island of the Blue Dolphins by Scott O’Dell, which won the Newberry Award for children’s literature in 1961. A naturalist on the boat said that in the 1800s, the subject of O’Dell’s book, a young woman of the indigenous Nicolenos tribe, was marooned on an island off the Santa Barbara shore for 18 years. I always thought she lived on Anacapa Island, but I learned she lived on San Nicholas Island, some 50 miles farther out to sea, an island now owned by the Navy. In 2012, Navy archeologist Steven Schwartz discovered a collapsed cavern, which may have been the cave where “the Lone Woman,” as she came to be known, was rescued from her solitary existence in 1853 by a fisherman and a sea otter hunter. She was transported to the Santa Barbara Mission where she was reportedly fascinated by her new life, but unable to communicate. Sadly, while she eagerly ate corn, fruits and vegetables for the first time, they were foreign to her diet and she died of dysentery just seven weeks after her arrival on the mainland. Oxnard’s “Hollywood Beach” is so named because it was a favorite haunt of celebrities of the 1940s who wished to take a jaunt up Pacific Highway and escape the celebrity spotlight: Clark Gable and Carol Lombard often hung out there. Embassy Suites Mandalay Bay, the only all-suites hotel right on the beach in California, is located here. Also on the waterfront is the Channel Island Maritime Museum, featuring artworks by 17th-century Dutch and Flemish painters along with models of sailing ships, and exhibits on maritime history and whaling. 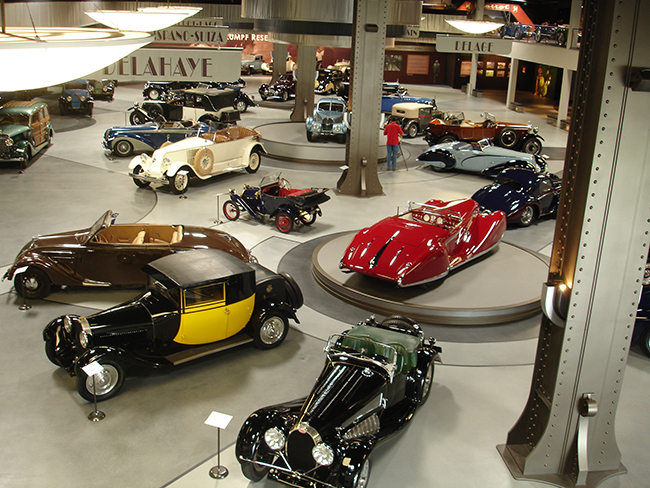 The Mullin Automotive Museum was an unexpected treasure, housing an impressive collection of Bugatti and French racing cars of the 1930s. 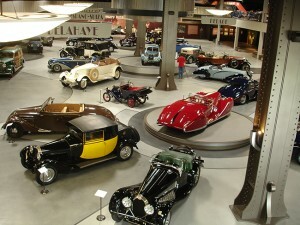 Opened in 2010, it features the personal collection of businessman and philanthropist Peter F. Mullin. Oxnard also celebrates its agricultural heritage with an annual strawberry festival in May and salsa festival in July. On my first night, I dined alfresco with new friends, overlooking the Channel Islands Harbor at Waterfront Restaurant Bar & Grill. It’s a happening place on a Friday night. The bar menu featured an array of “mule” cocktails (vodka, ginger beer, twist of lime); I ordered the Oxnard Strawberry Mule that added mulled strawberries and mint; refreshing and nicely accompanied by shared appetizers: duck tacos and fried halloumi cheese with marinated olives. The Kitchen is a neighborhood gastro pub that was featured a while back on Guy Fieri’s “Diners, Drive-ins and Dives” where we enjoyed craft beer and tasty homemade appetizers including fried green beans and jalapeño wontons, both accompanied by dipping sauce, homemade by Cathy Moreno, one of two sisters who were raised in the restaurant business in Oxnard. We met Cathy’s sister, Michelle Kenney, at our next stop, La Dolce Vita Ristorante that dishes up Italian and Mediterranean fusion cuisine in a two-story Victorian mansion. Michelle showed us precisely how she prepares her scrumptious fare as we participated in a cooking class on the veranda, then ate every last delicious morsel of our chicken Milanese with tomato and fennel sauce, Technicolor romaine salad with lemon Parmesan dressing, and pasta with creamy leek sauce. For dessert, we made (and devoured) chocolate molten spiced Cabernet cakes; nothing like a warm chocolate soufflé to finish off a grand meal. I stayed at Courtyard by Marriott, just off Highway 101. My newly renovated suite featured a living room, kitchenette, comfortable bed and a full made-to-order breakfast daily. 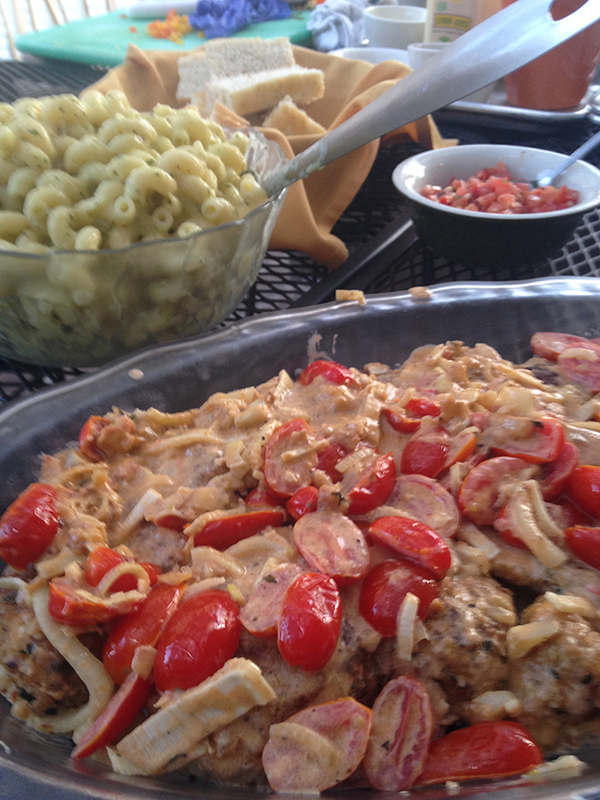 The spoils of our cooking class at La Dolce Vita Ristorante included (foreground) chicken Milanese with tomato and fennel sauce and (background) pasta with creamy leek sauce.